During the summer of 2018, I was a summer intern for the product design team at Squarespace. Immersing myself into the Squarespace environment, I learned from a great team and contributed as a generalist for various departments in product design and, in particular, the CMS team. Analyzing and redesigning the UX/UI of the existing Image Editor to be more congruous with the Squarespace brand and identity. Working on a new 800px modal system that all of the product design teams could potentially utilize. Micro-interactions in the Page Badging feature. The existing Aviary image editor was dated, clunky, filled with unwanted features and expiring so the project was urgent. Aviary was also glaringly incongruous visually with the clean modern SQSP aesthetic. 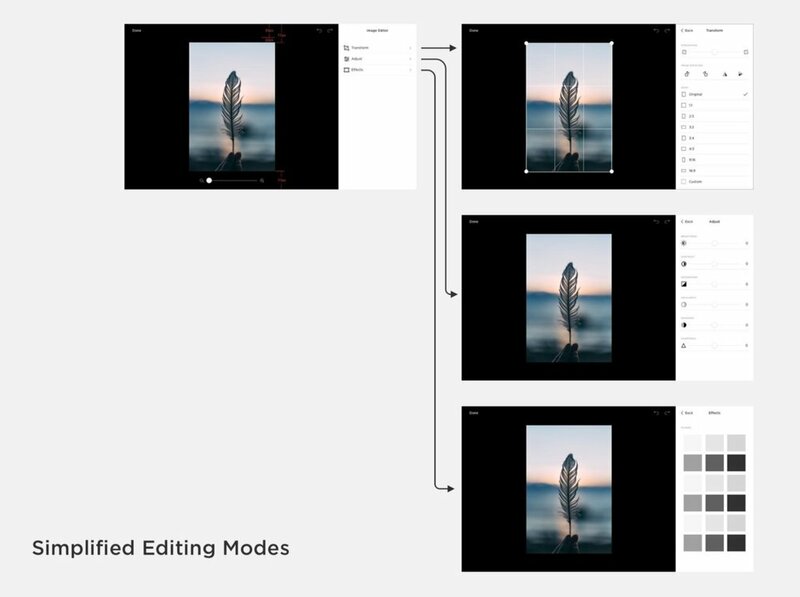 The final redesigned image editor is stripped down to the core essential functions as opposed to the over-cluttered under-utilized functions of the old Aviary editor. By analyzing data, we were able to determine actual usage by customers of the editing tools. Regularly testing competitive image editing apps helped determine which specific functions were commonly used and needed. 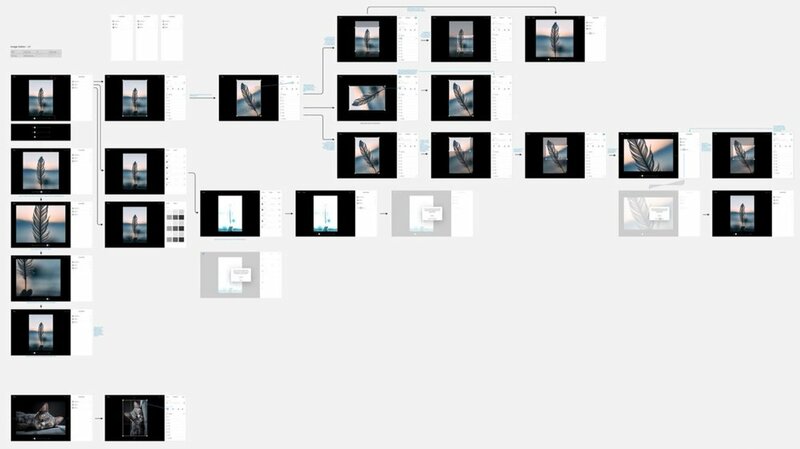 Exploring the UX flow of the old editor helped us transition to a smoother experience. Having worked on a re-design of the SQSP modal system prior to this project, I was well versed with the design system and started incorporating the new visual language and ratios into the new editor. A dark and light mode was proposed to allow user to choose the best contrast to their images, but it was nixed due to developer constraints. Analysis allowed us to delete unnecessary features. Figuring out the overall flow of functions as we edited down was important in user testing. Getting the features down to Transform (crop), Adjust (lighting) and Effects (after more user testing we determined effects could also be deleted from our features), we inched closer to a final result. Exploration of a feature that would later be edited as we pared down to essentials. There was no set system for the modals used by the various facets of design. The sizes / ratios ran the gamut and lacked cohesion. Working with the systems designer, I gathered all the assets from the various product design teams and tried various ratios for the modals. We settled on 800px after many iterations and discussions with the teams and design leads. 800 was a number derived from realizing that there were consistent widths of 320 and 480 used throughout the platform. The sum was harmonious. Trying various ratios based on disparate existing assets throughout the SQSP design universe. Very simple micro-interaction with icons appearing to inform user of activated levels of navigation.